Alexandria Yellow Cab has been here for citizens of Washington DC Metropolitan area for more than 60 years and they provide the excellent taxicab service near my location from Alexandria to Annandale, as they always did. You will get you where you need to be, in a timely fashion, without any transportation hassles, at budget-friendly rates. What are you waiting for? Book your ride today! When you travel to or from the airport, the least you want to do is think about all the hassles of traffic and other on-the-road nuisances. Schedule a taxi ride nearby and our driver will make sure you arrive at the airport on time. You can pre-book a ride in advance from all regional airports like BWI, DCA, and IAD to Annandale. So worry not, you’ll make it to your business meeting, convention or special occasion just on time. With Alexandria Yellow Cab you won’t miss a second of life’s important moments. 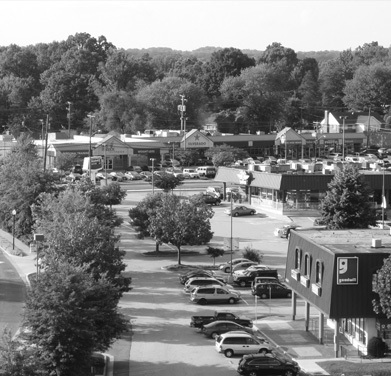 Annandale is the premier business hub in this part of Northern Virginia, with many world-famous companies situated in the near center. If you need a reliable and fast taxi service near my area, to or from corporate headquarters like DynCorp, ENSCO, Nobilis, Computer Sciences Corporation and ExxonMobil offices, call Alexandria Yellow Cab. AYC allows you to open a corporate account and enjoy numerous benefits. With in-depth and straightforward billing, you can easily track all your expenses, monitor the routes, signatures, and get access to detailed trip statistics. Each month you will get an invoice with all the necessary details and easy to understand data. There are several ways you can schedule a ride with Alexandria Yellow Cab. Use our online booking widget, mobile app or by calling +1 703 549 2500. There are plenty of our vehicles on the streets of Lower Alexandria, Seminary West, Arlandria, Eisenhower Valley and all other parts of Metropolitan DC Area as well. No matter where are, our cabbie will be there as fast as you can type in “taxi near me” and press enter.